You did it! You’ve taken the plunge and have decided to start your own business. It’s one of the most nerve-wracking, yet entirely fulfilling things you’ll do in your life. But you’ve already encountered a problem: how do you get high quality software programs for your business on such a stringent budget? Luckily, you’re in the right place, since we’ll be covering the best software programs for startups in this article. With entrepreneurship in mind, we’ve found startup software tools that won’t break the bank, but that will also always get the job done. After all, you need a software programs you can depend on and grow with, right? It’s not uncommon for businesses to invest in the latest trending software programs only to realize as they implement it that it doesn’t meet all of their needs, or that there are limitations which will hinder their company’s ability to perform as it should. That’s why our goal is to find affordable (or ideally, free) software programs options that have all the core features a startup company would need, plus the ability to add additional services or grow as your business does. Could your business benefit from the ability to get real-time feedback from your customers as they are on your website? The majority of businesses could and Qualaroo is a startup software tool that makes it possible. Part of what makes Qualaroo so phenomenal is how focused the developers of this software are on the context of the questions they are asking. You won’t find any spammy, pop-up questions that annoy your audience. In fact, it’s entirely the opposite. Qualaroo only asks questions when a potential customer has completed a specific action on your website or app, matches a specific behavior pattern, or lives in a specific location. Because your customers will actually enjoy and appreciate a customer experience that is tailored to them and that assists them in achieving what they came to your website to do. As you can see below, Qualaroo offers three different packages depending on the needs of your business. Price: Starts at $99.00 per month, but free 14-day trials are available. Helpful Hint: Check out Qualaroo’s Advanced Sentiment Analysis feature. It allows their software to pick up on emotional cues based on how your potential client responds to a question. An extremely useful ability for managing customer satisfaction! Knowing how your competitors are advertising their businesses is beneficial to any startup. You may be checking them out on your own time, but did you know there is a software for startups that can provide deeper insight into what your competitors are doing? MixRank is that software, and trust us, it’s as handy as it sounds. With the ability to track your competitions revenue sources, funding and digital properties, you never have to resort to guesswork again. You can even create competitor lists based on industry, region, or revenue and receive real-time updates as things change. Just one of the many reasons why this program made the list of best startup tools. As you can see below, MixRank receives great reviews by companies that are already using the software. Another sign of a worthwhile investment! Price: This one is certainly more of an investment at $500.00 per month. But free trials are available so you can determine if this is valuable enough to your business to justify the price tag. Helpful Hint: There are some reviews online that claim MixRank can have slow load times when large queries are being pulled. If your business is one that will be doing heavy researching and data-collecting via this tool, you may want to be aware of this criticism. Other software programs try to cater to businesses of all sizes, but not Wave! This software for startups prides itself on being the ideal option for businesses with nine employees or less. Wave is one of the premiere startup software tools for managing all things finance. If it relates to making money, tracking money, or spending money, Wave can make your life easier. Whether you want professional and easy invoicing, the ability to sync your expenses, or a seamless payroll experience that benefits your employees and your business, Wave has it handled. And the best part? It’s FREE! You don’t pay anything to have this incredible startup company software. You only pay a small percentage on credit card processing and bank payment processing. But with the amount of support and peace of mind that comes with this software makes it well worth the minimal cost. Lastly, Wave offers a ton of valuable information to new business owners, with or without using their product. Many entrepreneurs check out their website on a regular basis to learn tips and tricks they can implement in their companies. As you can see below, there’s much to learn! Helpful Hint: Wave maintains a 4.5 star rating out of five on merchant maverick. No small feat for a software that has been around for 8 years! They also recently won the Canadian Innovation Award in the Financial Services category, so there is a lot to feel confident about with this free software for startups. No matter which startup software programs and tools you decide to trust and utilize for your business, finding the option that works best for you is integral to your success. Sometimes, the option that is hailed by others simply won’t work for your unique business environment or needs. And that’s okay! It’s better to have a startup company software that functions perfectly for your unique circumstances than a software that is okay but is highly recommended by others. Remember, solutions start with people. Not software. It’s still up to you to identify exactly what your problems areas are and which software options will provide the greatest ROI. Weigh out your options, try multiple free trials, and make note of your experiences with each tool. Then make an informed decision! And don’t be afraid to negotiate with software providers. Sometimes you can squeeze out an even better deal than you originally expected. Interested in learning more software programs, tips and tricks? Follow us on Facebook to stay in the loop on all our latest updates! 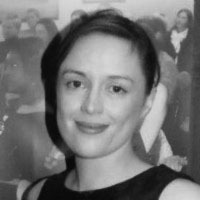 Claire O’Brien is the Marketing Manager at Design Wizard. Claire has more than 10 years experience in content creation including visual content, digital marketing, email marketing, social media and advertising. She has an avid interest in all things digital and software related.